The Central Bank of Iraq (CBI) has unveiled (7th October) changes to the upcoming series of new banknote designs which are aimed at both modernising the currency and better reflecting the nation’s heritage and diversity. 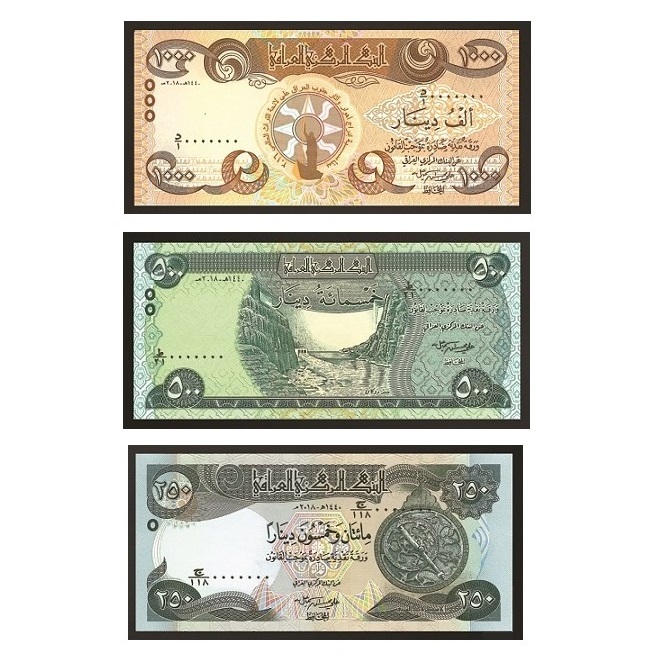 The last significant redesign of Iraqi banknotes came after the country’s invasion, which was initiated by the United States and its coalition in 2003. The internationally coordinated military action resulted in the downfall of the regime of Saddam Hussein — further resulting in the removal of his likeness from all banknotes. Between October 2003 and January 2004, the Coalition Provisional Authority, which administered the country while under occupation, issued new Iraqi dinar coins and notes that were printed in the United Kingdom. Their security features were updated but the designs were reminiscent of the so-called “Swiss dinar,” due to their printing plates having been produced in Switzerland. As part of the redesign, the new 2018 A.D. and 1440 Hijri-dated banknotes will now feature the title of “Governor of the central bank” underneath his signature, which the central bank has pointed out is compatible with the trend being followed in other countries. The current specifications, in terms of dimensions, remain the same — as well as the current colours — which represent the current series. The 50,000 and 5000-dinar banknotes have not currently undergone an update at present. However, it is the newly revised 1000-dinar note that seems to be getting the most significant makeover and attention. The previous design of the symbol of the Ikhlas Surah from the Quran in the centre of the current design has been removed and in its place is what appears to be an Assyrian star. The Assyrian people are a predominately Christian minority group concentrated around Northern Iraq. Many of them were displaced or forced to flee abroad during the recent conflict that was initiated by rebel forces seeking a separate caliphate known as the Islamic State of Iraq and Syria. In recognition of the status of the Marshlands, which have been added to the list of endangered and protected regions in 2016, the new 1000-dinar note will also feature the words: “Enlisting the marshes and heritage of Southern Iraq on world heritage list,” which is placed around the Assyrian star motif. During the regime of Saddam Hussein, Iraq’s marshes were almost completely drained in order to flush out rebel groups. These insurgents were in opposition to his rule, and, as a result, the rich natural habitat and the culture of the marshland’s inhabitants were almost lost. Since the downfall of the Hussein regime, both international and localised efforts have sought to bring the people back to their homelands and revive the culture back to life. The new series of notes — which will include the denominations of 25,000, 10,000, 1000, 500, and 250-dinar notes — is scheduled to enter circulation on the 15th October through the Central Bank of Iraq, which has also announced that at this time they do not plan to recall older dated banknotes. 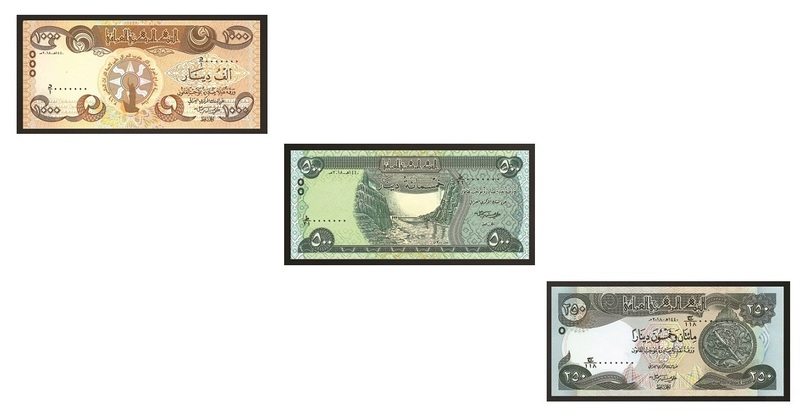 For additional information about Iraqi banknotes, please visit their website. What does this mean for our older notes? The Iraqi Central Bank have not specifically mentioned a date to remove the legal tender status from the previous issue released in 2004, so it is likely the first series will continue to be accepted for transactions essentially until further notice. If legal tender status is removed from any of the first series notes, the Central Bank may also specify a date until which the older notes can be redeemed. Usually, with a new series of banknotes, the most widely used denominations are rolled out first as with the three smaller denominations here. We will expect further information for the remaining notes in due course including perhaps improved security features for the largest denomination notes in circulation.